LogMyData® Cloud remote monitoring will close the loop and put your devices in touch with your enterprise regardless of the size of your enterprise. LogMyData makes remote monitoring accessible and affordable even if you have just one site to monitor. The LogMyData Cloud is ready to provide monitoring services for just one device or thousands of devices. The LogMyData Cloud is built on top of the IBM Cloud to ensure that you are well connected and well protected. (2) Is something about to go wrong? 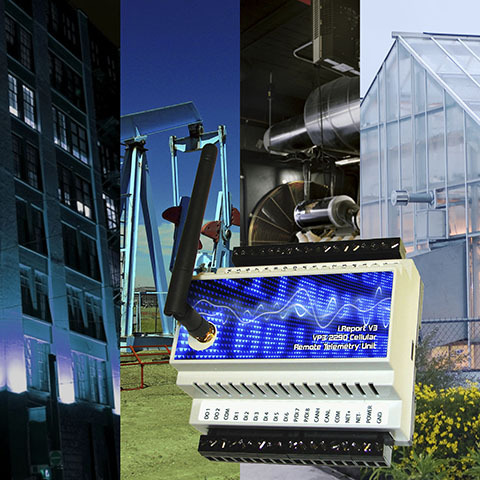 Event based remote monitoring will constantly look at data points that provide answers to those questions, and notify you via email or cell phone when you need to know. 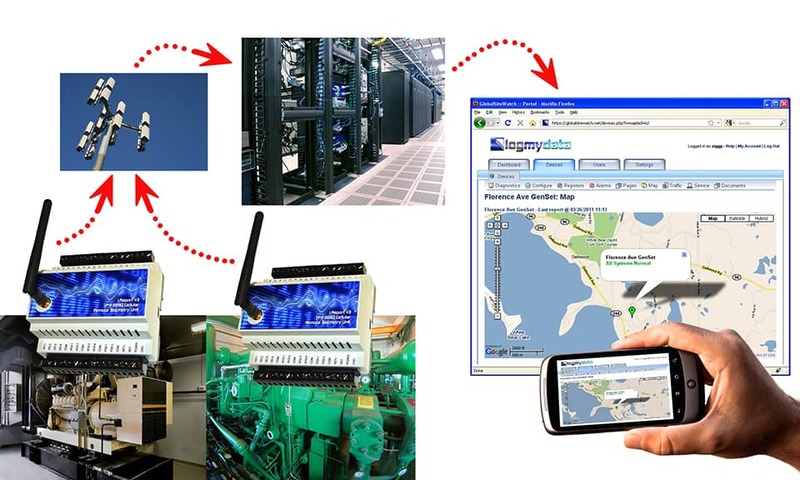 The other application for remote monitoring is long term trending or performance monitoring. Nothing is really wrong one way or the other, but you want to see some history. Trend monitoring will periodically record data points and archive them in a database. You access that database at your convenience via the LogMyData Cloud. Improve your bottom line with LogMyData on the front line! The LogMyData Cloud provides global access for monitoring all of your remote sites. Access the LogMyData Cloud from anywhere in the world. We start by creating an account for you in the LogMyData Cloud. Once devices are commissioned, they will begin reporting data, and sending you notifications when there is an event you want to know about. You may have multiple users, and you may direct notifications of certain events to certain users or user groups. LogMyData will send you emails, or text messages to your cell phone, when an event you want to know about has occurred. LogMyData can even call you with a voice message to tell you what has occurred. The remote devices will continuously monitor data and periodically report data to the cloud. When an event occurs, the device will contact the cloud immediately. The cloud apps will then check the database to see who wants to know about this event. The cloud will send notifications to cell phones or email addresses, or even make automated voice calls. LogMyData can provide GPS tracking of continuously moving mobile equipment, and geo-fence monitoring of transportable equipment. Applications include stationary and mobile equipment. Mobile capabilities include GPS tracking and geo-fencing. In addition to other events, you will receive a notification if the equipment leaves its assigned location. When you move equipment to a new location, you simply log in and tell the system that this is where it should be now. You can check the location of your equipment at any time by logging in and viewing the Google Maps powered dashboard. LogMyData will let you download CSV files of your historical data. You can review and plot data online. In addition, you can download logged data for any selected time period in CSV format ready to process with spread sheet software. Data can also be obtained in XML format from the LogMyData Cloud by secure query from your own server.